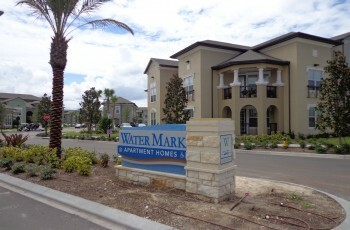 Creative Sign Designs excels in developing signage solutions for multifamily housing. A process that entails many moving parts – general contractors, bid process, other vendors, hundreds of sign types – Creative’s team makes it simple for the client. 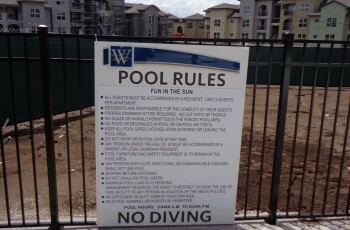 Such is the case with the 22-building community at Lake Nona. 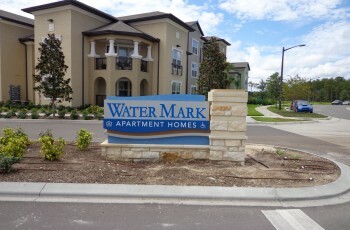 Creative Sign Designs has developed an extensive portfolio within the multifamily industry with its turnkey capabilities. 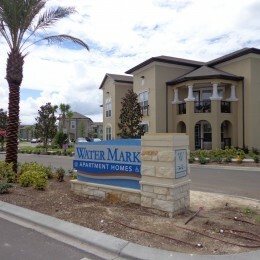 A facet of signage that is between hospitality and a corporate office, the needs for apartment communities like Lake Nona Water Mark Apartment Homes capitalize on the skills Creative’s team of experts have mastered. 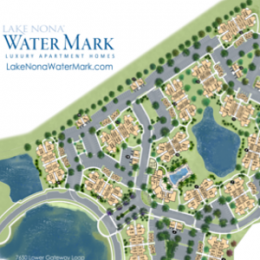 Located off Lake Nona Boulevard just north of Nemours Children’s Hospital in Orlando, Lake Nona Water Mark is a collection of 278 luxury apartments that feature six unique floor plans of one, two and three bedroom units nestled in 22 buildings. 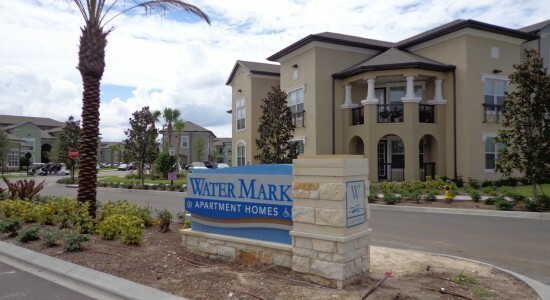 This community boasts a long list of amenities ranging from a grand resort-style saltwater swimming pool to a multi-purpose theater room with gaming and HDTV. 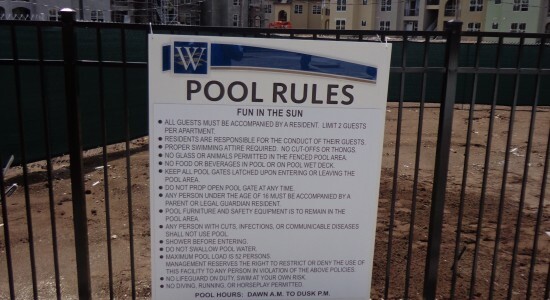 Contributing to the community’s vibrant culture, Creative fabricated and installed a complete interior and wayfinding package ranging from door signs to pool signs to entryway monuments. 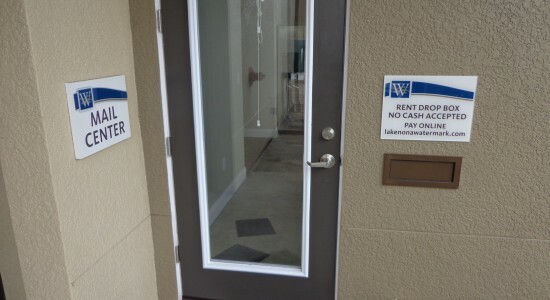 Creative also fabricated and installed all required ADA signage throughout the community. 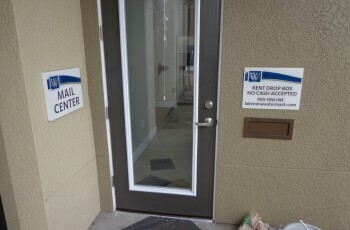 Materials used to fabricate the signage solutions include acrylic, laminated prints, and painted and routed PVC. 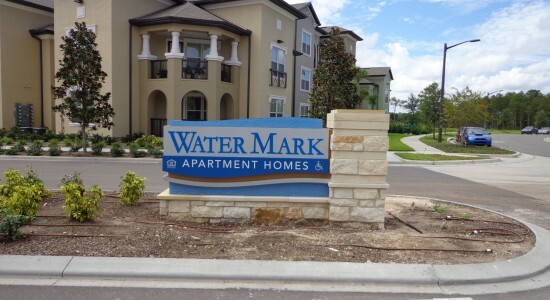 Creative excels in projects like Lake Nona Water Mark Apartments and looks to continue providing signage solutions in the multifamily industry.